Hope your Halloween was fun too! They look great. 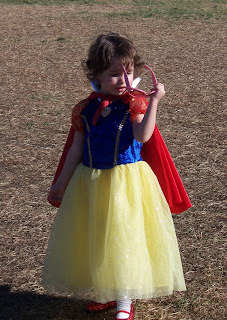 Snow White is especially cute. Yay! They look so adorable!! I did the same thing with my camera just about a week ago - I'm so bummed! Oh how adorable they both look in their costumes.